Rumor has it that a balanced diet is a chocolate in both hands and I have to agree with that. I’ve been witnessing my daughter’s weight (she was not big, to begin with) melt right in front of my eyes ever since she started the paleo diet. When the challenge was over she continued making healthy choices for her and her family. And she continued to talk me into switching to paleo as well. So finally, two weeks ago my husband and I decided we’ll give it a try. He lost two pounds within the first week and I think I might have gained some. Go figure. Oh well, stored fat for the winter. But I was already eating pretty healthy. I only drink water, I never snack on chips and the like, and I love veggies. So how much can you take away from me, right? Apparently a lot: pasta, potatoes, rice, sugar, legumes and all processed food; anything that wouldn’t be available to a caveman. I thought we are supposed to evolve. One thing I wasn’t willing to give up is chocolate. Although dark chocolate isn’t my favorite I made the switch. That was OK for a short period. 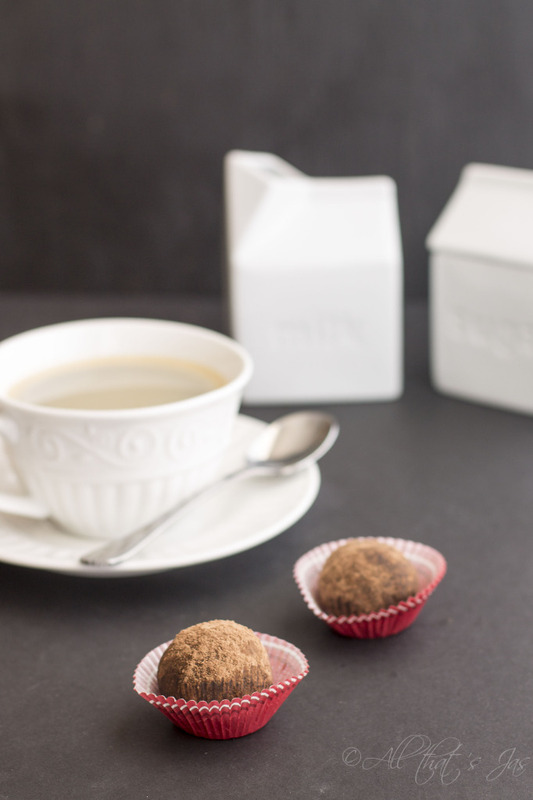 I needed something more satisfying and that’s when I, after researching paleo recipes, came up with these chocolate truffles. Do I have your attention now? Not only are those truffles good for you, they are super delicious and super easy to make. Oh, and let me tell you this: the best part is that you can totally adjust ingredients and make it your own! Paleo or not, these babies will be chowed down guilt-free! Using your hands, form small round balls, rolling in your palm. Make sure to remove your blender blades first or transfer the mixture into another bowl. 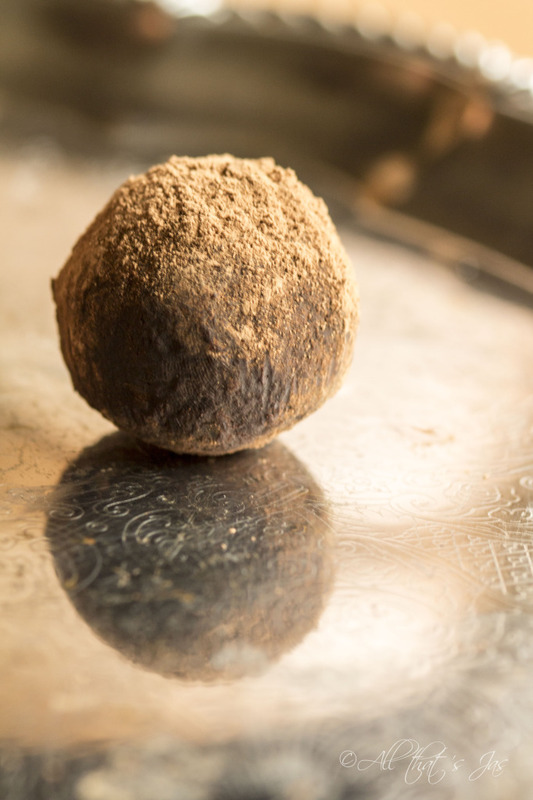 Roll the truffles into cocoa powder, coating evenly. This recipe made 12 truffles, about 1 ½ inch big. These are super rich and you won’t need to eat five at once to satisfy your chocolate cravings. In a food processor or a blender add all ingredients and mix until nuts are ground and everything is well combined. If the mixture is not sticking, you can add a few drops water at a time. Oh, these sound delicious, I love dates! And good for you, just a bonus! Thanks for visiting Christy! These do not taste like a diet at all! I was not expecting these to be so healthy when I first saw the picture! I’ve been trying to eat better, but desserts always get me. This is a great way to have a sweet treat that is not so bad for me. Thanks for joining us for Hump Day Happenings! Thank you for hosting! Hope your day is beautiful!